My friend Alice is studying in England for the semester and I hadn't seen her for a couple of months. I met her at King's Cross Station in London and we headed to Stansted Airport to board our budget flight to Berlin. I'd done a lot of thinking about all of the historical things that I wanted to see Berlin, but I'd never really considered what the city itself may be like. In all honesty, I was picturing a stark, grey, industrial city with quite a stern and serious nature. It was the exact opposite. Berlin is huge, spread out and surprisingly green. While the city itself is quite industrial and doesn't have as many old buildings as other European cities - it certainly doesn't lack character. The German capital is a melting pot of culture, creativity and history. The city's diversity is expressed in various ways - from food to the arts. Art here isn't confined within the constraints of walls either - it sprawls out onto the street. Buskers, street performers and street art bring colour and a vibrancy to the city. Behind this colourful city, is a grey and gloomy history. From what I saw, the city is addressing its dark and painful past and with transparency. It presents its difficult heritage in an open way so people from far and wide can learn from the atrocities that have unfolded and prevent similar happenings from reoccurring. Alice and I stayed with some great family friends of mine. They were the best tour guides we could've asked for - showing us the ins and outs of their city and giving us an experience of life within a German family. We ate a traditional German breakfast (including raw mince meat), joined them in their day-to-day lives in Berlin and even learned some schlager music! This trip was full of reunions. Not only did I get to see Alice and the family friends who we stayed with but I met up with my childhood bestie Tashie, who moved to Berlin when we were young and I haven't seen since I was 11! Alice and I were so lucky to be given a tour of the city by the people who know it best - the locals. This neo-classical gate is one of the most iconic landmarks in Germany and a symbol of its division and unity. It was built 18th century under the orders of King Frederick William II of Prussia. Since then, it has been a part of many defining historic events: the statue from the top of the gate was held in France from 1806 to 1814 as a trophy of Napoleonic victory; during WWII, it was damaged by allied bombings; and was right in the middle of no-mans-land when the city was divided. It was from here that US President Ronald Regan issued a command in 1987 to “tear down this wall”. Extending for 1.3 km down the River Spree, this is the largest remaining section of the Berlin Wall. It has been transformed into an open-air gallery and is covered in over 100 paintings by different street artists - standing as a symbol of freedom and liberation. The art expresses a time of change and hope for a better future. Berlin is home to some of the best museums in the world - five of them can be found here. The history fanatic in me was super satisfied by the wealth of knowledge on this "Museum Island" in the middle of the River Spree. I could spend my entire life here and still be intrigued by the stories they have to tell. This indoor and outdoor museum is located in a former headquarters of the SS and Gestapo from the Third Reich - where Nazi activity was organized and orchestrated. The exhibition shines a light on the terror of this hideous regime and allows you to learn about these evil institutions and the terror that they inflicted on the population between 1933 and 1945. Last year, Alice came to Sydney with me and we went to the Sydney Jewish Museum in Darlinghurst, so visiting this Jewish Museum was a must while we were in Berlin. Both the architecture and displays of this museum are very impressive. It was incredibly moving to walk around and not just learn but feel things too. 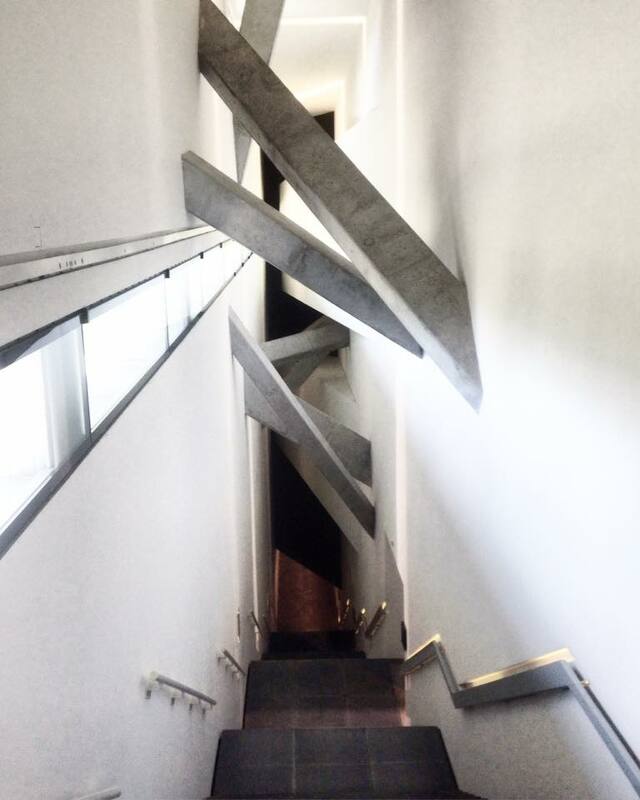 The Holocaust Tower, the Garden of Exiles and Menashe Kadishman's Shalekhet are artworks and experiences at the same time. They gave me a better insight into the horror of the Holocaust and have been deeply imprinted into my memory. This ambient artwork in the heart of the city is dedicated to the Jews that died in WWII. It consists of 2711 large rectangular stones blocks of different heights. Walking through this piece of art made me feel giddy, uneasy and confused. If such uncomfortable feelings come from just walking through an art installation - I can't even comprehend what the people who endured such terrors would have been feeling. It has been designed as a place of contemplation, so people can remember and pay their respects to the victims of such atrocities, and do their part to make sure that nothing similar ever happens again. 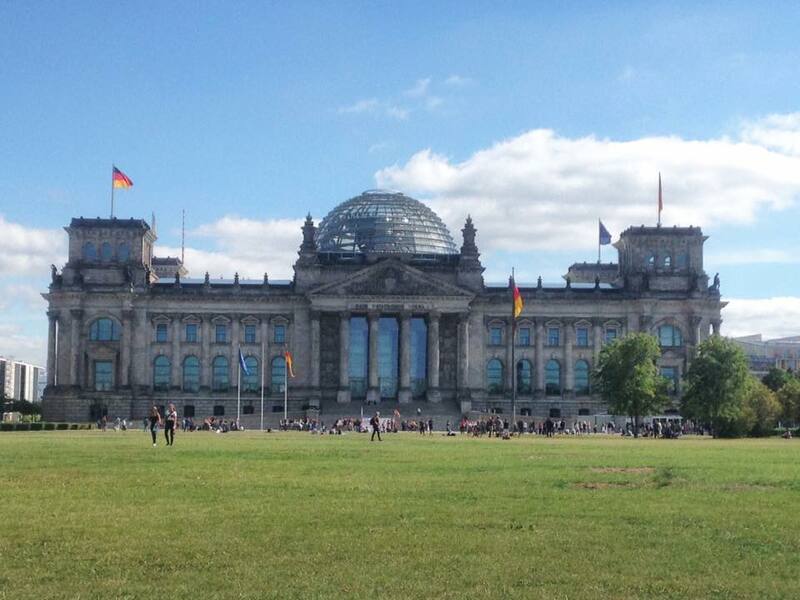 This iconic building is both the German Parliament and a historical landmark. It tells stories of Berlin’s turbulent history since the 19th century. You can visit the glass dome at the top to enjoy sweeping views of the city as decisions that affect the entire nation are made beneath your feet. For insight into life in Berlin during the divided period, visit this famous former border crossing on the corner of Friedrichstraße and Zimmerstraße. Taking its name from the third letter in the NATO phonetic alphabet, this was one of three crossings in the Berlin Wall (Alpha, Bravo, Charlie) that were created under the orders of US President John F. Kennedy. This crossing allowed diplomatic corps and allied forces to move between the Russian Sector of East Berlin and the American Sector of West Berlin. Checkpoint Charlie was no longer needed when the Berlin Wall fell and Germany was reunified. Today a line of bricks traces where the wall once stood and a replica of the Checkpoint Charlie booth stands at the original site. It is a symbol of the Cold War and the tension between East and West, Communism and Capitalism, restriction and freedom. Alexanderplatz is Germany's most famous city square and the middle of the transport network, which coming from Auckland, I must say, is incredibly efficient! You'll also find the 368-meter high Fernsehturm TV tower here - a prominent feature of the Berlin skyline. You can climb the tower for sweeping views of the city. Right at the heart of Berlin, on the banks of the River Spree, this is 520-hectare urban gardens. It's 520 hectares of endless entertainment. Alice, Tashie and I strolled through the trees and past the lake, admiring and contemplating the sculptures and monuments along the way. The stunning baroque cathedral is the largest in Berlin. Opened in 1905, it is the centre of the Protestant church in Germany. Tashie, Alice and I lay in the grassy space in front of the cathedral, basking in the Berlin sun and admiring the monumental building. This roundabout in the middle of Tiergarten is so iconic the family that I stayed with had a picture of it on their toilet seat! Built as a symbol of a Prussian military victory in the 19th century, it's a popular tourist destination and historic centre today. The monument was originally located at the Reichstag but moved to the Victory Column roundabout (the central intersection of five of the city's major avenues) in 1938. This nine meter tall column was designed by Albert Speer - Adolf Hitler's chief architect. Brimming with art galleries and tasteful graffiti with a charming Old Town side, this stylish shopping area in the Mitte neighbourhood is definitely worth exploring. 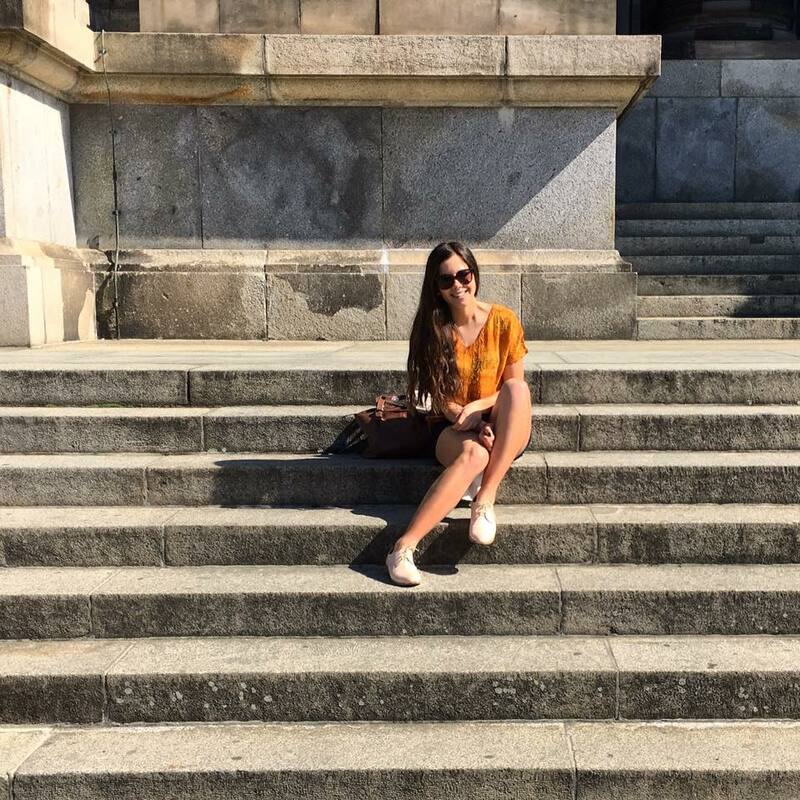 It’s a great place to pick up some quirky local designer clothes from a boutique, watch a film in an art house cinema or grab a bite to eat at one of the trendy cafés, restaurants or bars. Opposite the grand, old buildings of Gendarmenmarkt, you’ll find Berlin’s oldest and most iconic chocolate shop. Explore this exciting chocolate shop with an enticing truffle cabinet and chocolate sculptures of Berlin monuments, or head upstairs to Fassbender & Rausch Café to truly treat yourself! The menu will overwhelm you (in the best way possible) with its extensive list of hot chocolate flavours and your eyes will glimmer when you lay eyes on the unbelievable patisserie cabinet! The petite desserts and tartlets are eye-candy. They’re too good to eat but also too good not to! Located in the central Mitte district of Berlin, this building has undergone several face changes - from its name to its use, to its structure. It was built in 1821 as a theatre. It became the home of the Prussian National Assembly in 1848, and during World War II it was bombed and left in ruins. Decades later, the building was rebuilt and it now stands among the top concert venues in the world. Doner kebabs are a must in Berlin! I know you’re probably thinking that kebabs are not the most “German” snack on the menu - but doner kebabs were actually created in Berlin by a Turkish immigrant. They were a way of getting traditional Turkish meat skewers to busy, on-the-go Berliners by wrapping them in Turkish bread. At only a couple of euros each, they are one of the cheapest food options and there are so many places to get döner around the city. I couldn’t go past the legendary Mustafa's Gemüse Kebap when I smelled the spices and saw the line spiralling down the street. Tashie and I waited for an hour to get our hands on a famous chicken kebab from this Berlin cult-favourite - and oh my goodness, they were 100% worth queuing up for! Speaking of cheap food, you simply can’t come to Berlin without trying one of these iconic sausage dishes. Bratwurst is made from veal and pork and is generally served on a bread roll or a paper plate with mustard. If you're after something a little bit different, try currywurst - deep fried sausages slathered with a curry-flavoured ketchup sauce and topped with curry powder. Both of these quick and fulfilling street foods are sold out of trailers, cafés and kiosks and eaten everywhere from the small alleyways and on the fast-paced boulevards of Berlin. With a French name, which translates to “without a care” this summer palace was the retreat of Frederick the Great, the King of Prussia from 1740-1786. It was his place to kick back, not assert power. Sitting pretty in Potsdam, just outside of Berlin, the grounds of this yellow Rococo-style castle can be compared to those of Versailles in France. They have been beautifully designed and immaculately kept, although, Sanssouci does feel a little bit more intimate and less pretentious than its French counterpart. Stylish, affluent and wonderfully charismatic - this historic neighbourhood with aristocratic roots is a stomping ground for the classy and the cultured. It has a rich history and is home to many theatres, palaces and fine dining establishments. Being neither classy or cultured, I still thoroughly enjoyed window-shopping down Kurfürstendamm (KuDamm) Boulevard, home to the high-end stores, and visiting Kaufhaus des Westens (a lavish department store, which is comparable to London's Harrods). In the 1920s, this was one of Europe’s busiest and most bustling squares but it was destroyed in WWII and later divided by the wall. Since the reunification of Germany, it has become a showpiece if the new Berlin. The modern reincarnation of Potsdamer Platz is a hub for trade, traffic and commerce but there are markings on the ground, which serve as a reminder of where the wall once stood. This simple but powerful symbol helps people remember the painful past as they cross between areas, which were once so divided, multiple times a day in the midst of their busy modern lives. On the 10th floor of a boutique hotel, overlooking the city and the zoo, this trendy bar is the place to come to enjoy a beverage with a sweeping view of the city. They have a good-looking list of cocktails, but when in Berlin, it was a beer we were after! Oh, and when the drinks start passing through you, you can use the bathrooms with large glass windows and let monkeys in the Zoologischer Garten below watch you do your business!